Kevin and Kirk have spent most of their 24 and 36 years, as an auto technicians, working together for various large and small auto shops. The dream of owning a shop together began long before they collectively decided it was time to create a unique, family friendly auto repair shop. An automotive shop customers would be happy to refer their friends and family to. An automotive shopped filled with honest, educated and experienced technicians, who understand your time, money and vehicle performance is of utmost importance. To make Wrenches Automotive unique in the industry, we created a comfortable waiting area with complimentary coffee, cable TV, magazines and Wifi for our customers. 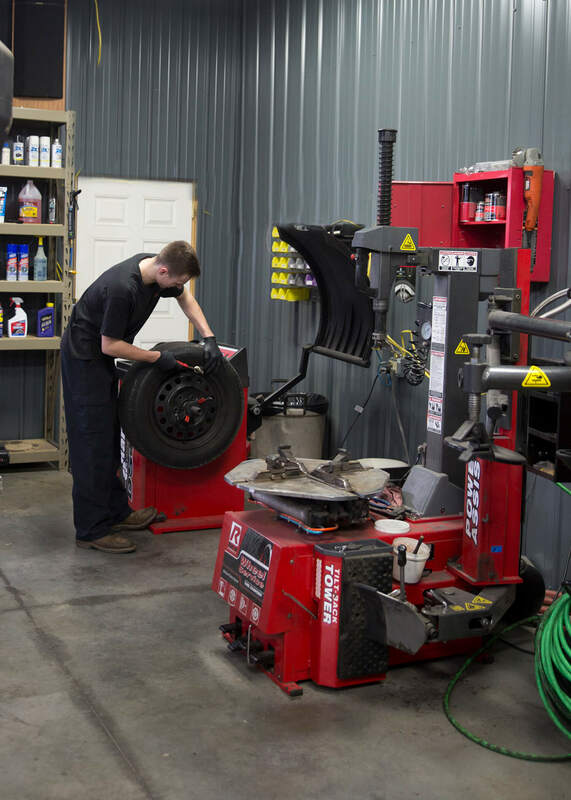 But with three bays at our fully-equipped shop, our customers don’t wait long for their vehicle regardless of the kind of service they receive. Our team can handle every automotive challenge that comes through our door and we have a plan in place for your specific vehicle. From the moment you step into our shop or make contact with us to the time you pick up your vehicle, your vehicle will receive precision service and care. We carry out a comprehensive inspection before proceeding to work on your vehicle, ensuring the job gets done right the first time because trial and error is not our thing. Our passion goes into what we do everyday, meaning we treat you and your car as if we are family. Wrenches is the leading shop for high-quality auto repair services in the Fox Valley. Our expertise is second to none and your satisfaction is guaranteed. All of our repairs are carried out with premium and high-quality, affordable parts.